Looking for a Surface Pro? 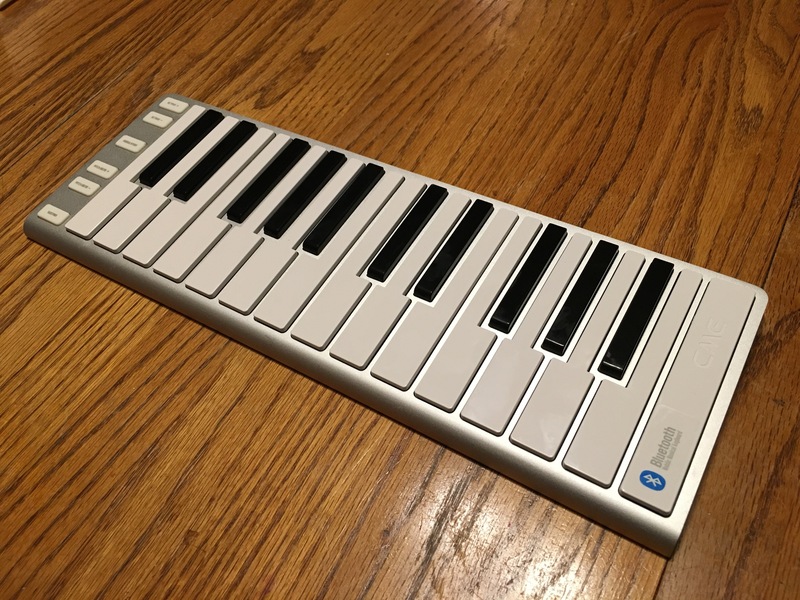 After my post about StaffPad and Surface Pro, I received an e-mail from an old blogging friend, ViolaJack. In her e-mail, she mentioned that Microsoft sells refurbished Surface Pros on eBay at a significant discount. While I am always a little hesitant to buy expensive technology sight-unseen, there is no danger in purchasing a device from the legitimate Windows store on eBay. As of today (I cannot promise that these prices will contnue), you can buy a 128GB Surface Pro 3 with a keyboard for $850, which is a savings of $279. That makes a pretty expensive device quite a bit more affordable. Personally, I would buy a new MacBook before a Surface Pro 3, but if I happen to win the lottery…(generally, you have to play to win). But if YOU are interested in a Surface Pro 3, particularly with the news of StaffPad (and maybe even MuseScore 2.0), you can't beat $850 for a new, refurbished Surface Pro 3. It is a beautful device with top-of-the-line hardware. 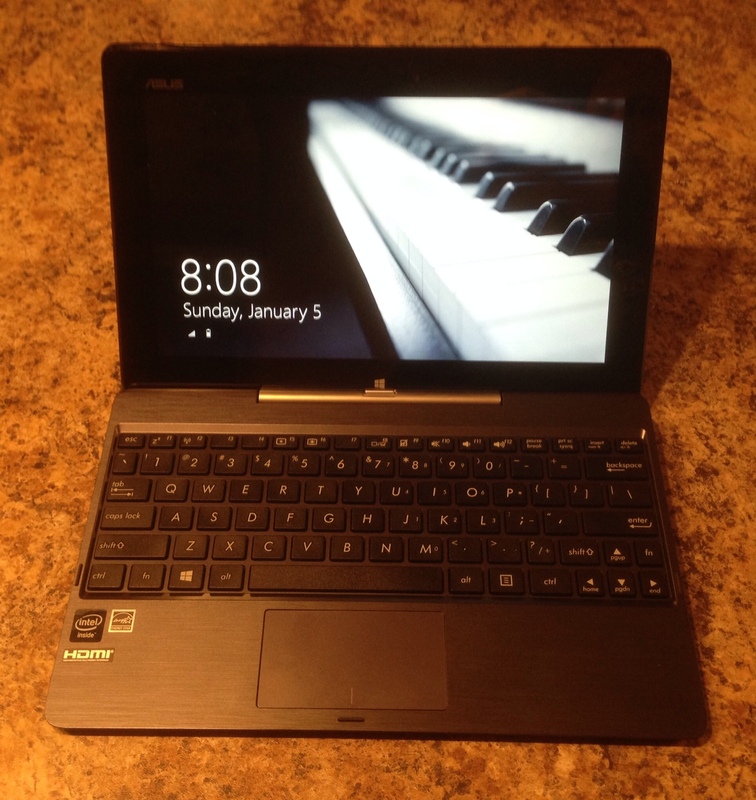 This is the Asus T100, docked in its trackpad keyboard. 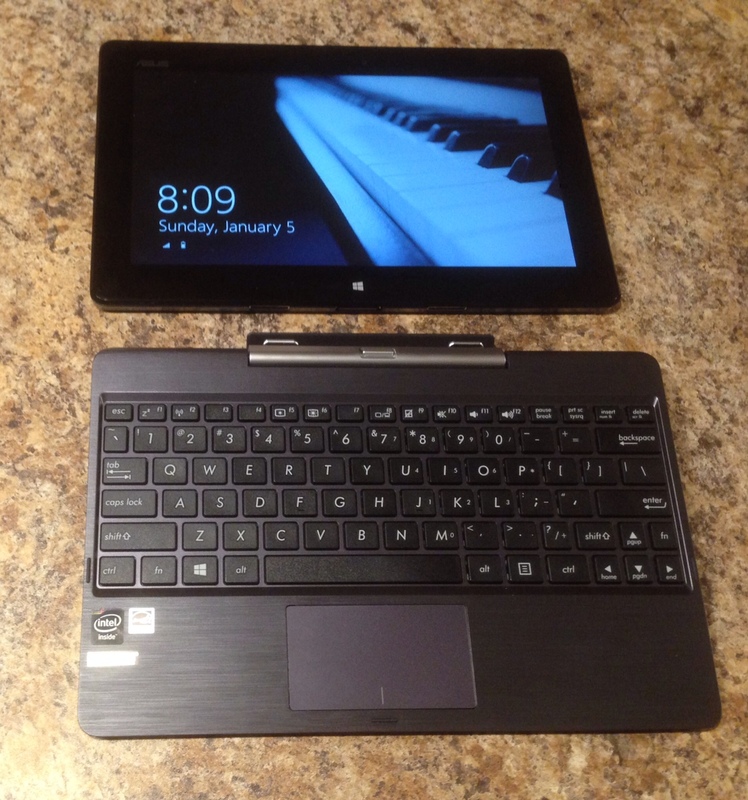 I have been working on selling my Acer Iconia W3 8″ Windows tablet that I have owned for a few months. The W3 served its purpose in my life; it let me see how Windows RT and Windows 8 (then 8.1) worked. 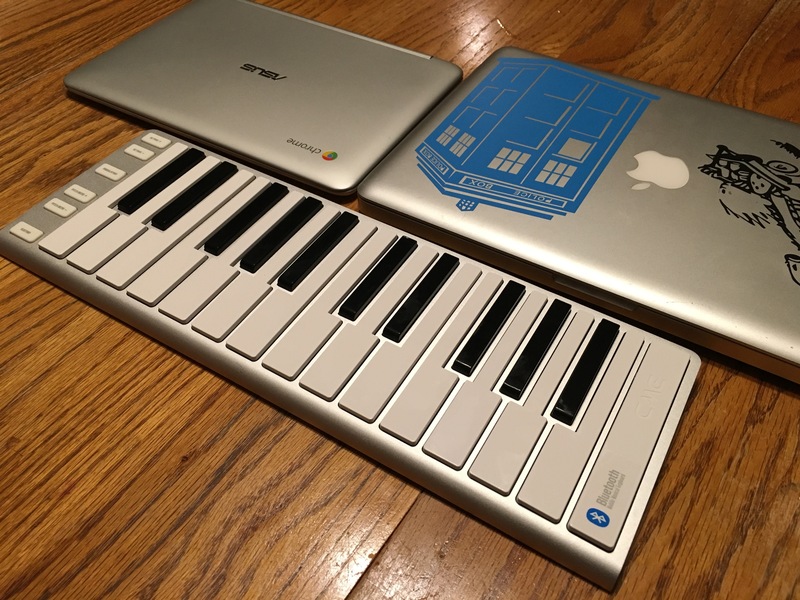 I even used the tablet for a little bit of Finale and Notion work, but it became clear that I would need a Bluetooth mouse or some kind of (additional) external keyboard with a trackpad to get any serious music notation work done on that computer. In that time, two different things happened. First, Asus released a new transformer tablet, not based on Android, but on Windows 8.1 for $399; and second, Acer released a W4 tablet to deal with the shortcomings of the W3…mainly a better screen and a faster processor. 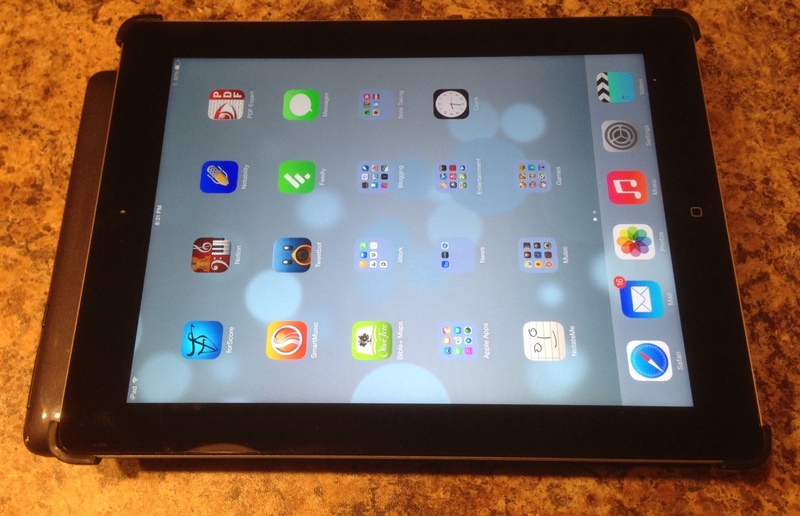 It took a while, but I sold the tablet to someone over Craigslist. I paid $290 for it shipped, and took $250 for it. The tablet was in mint condition, so I feel like I did okay, and that the buyer also got a good deal. 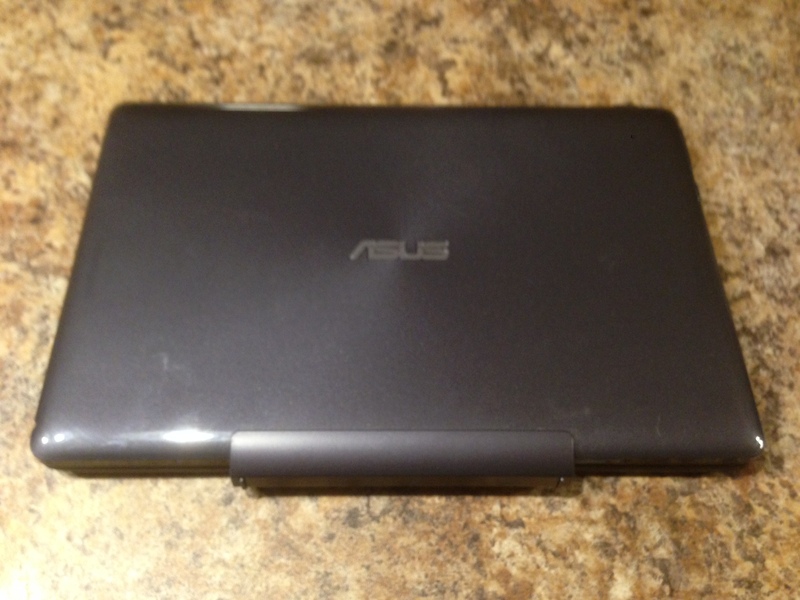 The Asus T100 closed in its notebook configuration. I have been looking at the T100 for some time, as it comes with a detachable keyboard with an attached trackpad. Best Buy had a 32GB model on sale for $299 a few weeks ago, but I knew I wanted the 64GB version. I have been bidding on eBay for the tablet, but prices were regularly rocketing above $400 for a $399 (MSRP) tablet. New Egg was selling them for $379, but is now selling them at $399 (and are out of stock), and even Amazon is selling the tablets for $439 (used!) right now. Why is this tablet so popular? Because it is basically the Microsoft Surface Pro 2, minus the digitizing pen, with a keyboard, for over $600 less. If you are looking for a Windows tablet, the T100 is the best bargain you will find, and battery life is excellent–at iPad levels–something the Surface Pro 2 can’t try to match. At any rate, I was looking online and saw that my local Wal-Mart has a T100 in stock for $379, so I went to Wal-Mart to do our weekly shopping and found out that they had one T100 left, which I bought. For the record, this is the T100-C1, which is the 64GB version. 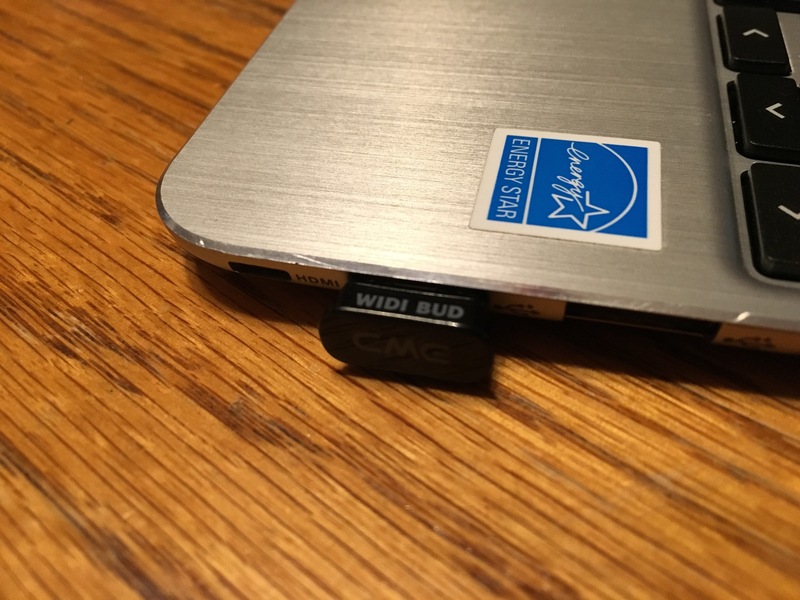 There is also a T100-B1, which is a 32GB version. This is a 10″ 16:10 aspect ratio tablet. 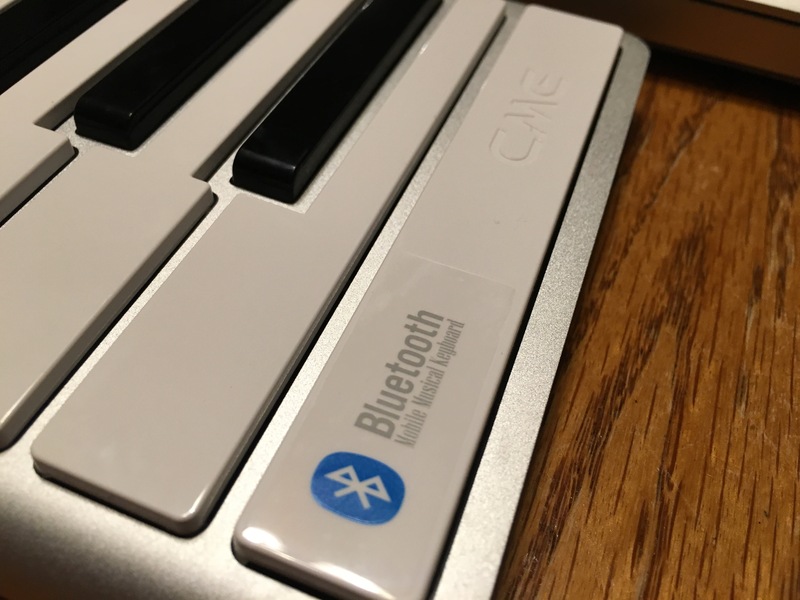 The T-100 comes with the trackpad keyboard, which connects directly to the tablet, so it is not a Bluetooth keyboard. 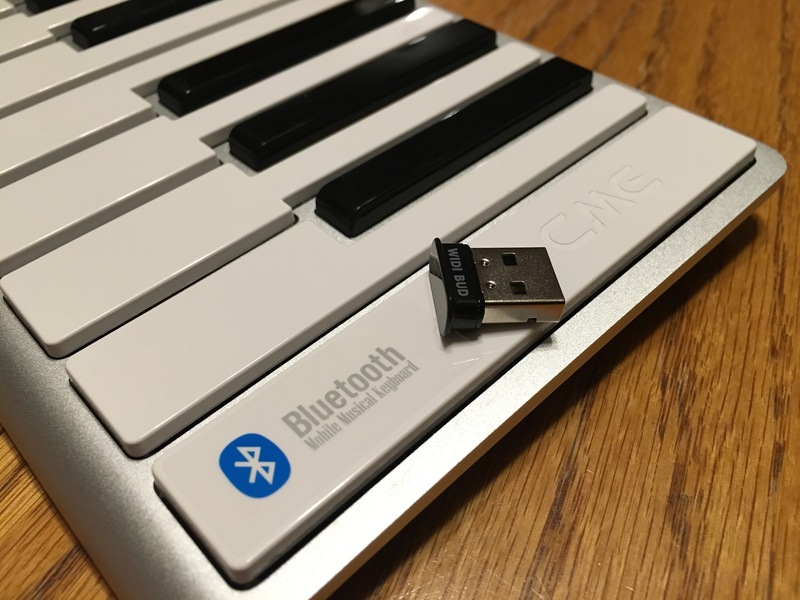 There is a Micro USB port, a Micro HDMI port, and a Micro SD card on the device (like the W3), but the keyboard also has a full USB 3.0 port on the keyboard. So although this tablet is $89 more expensive than what I paid for the W3 (not including tax), the faster processor, bigger screen, better screen, and USB 3.0 port make it a far better computer. 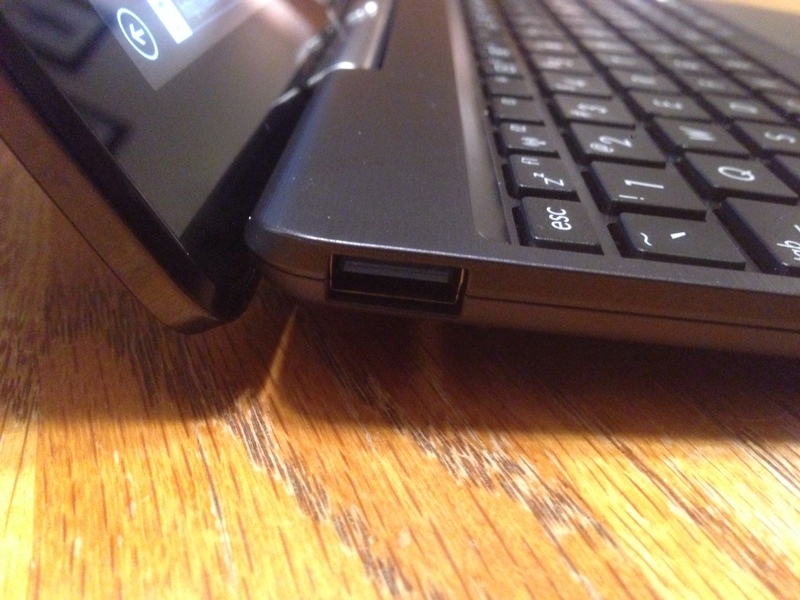 The USB 3.0 port located on the keyboard. As a right-handed person, I wish this was on the other side. As with all Windows 8.1 tablets, you get the schizophrenic relationship between Windows RT (tile world) and Windows 8.1 (Desktop). Windows desktop, overall, is the same thing Windows has always been; Windows RT is a joy to use, but it just lacks apps that iPad or Android tablet owners would be looking for. If you are a musician, there is no PDF music reader for Windows RT. You can use a traditional PDF reader, but page turns are up and down, not left to right. You can buy PDF music readers for Windows 8.1 (Desktop), but these applications generally won’t take advantage of the tablet interface, and in fact, buttons may be too small to accurately press without a stylus–something that isn’t going to happen in a rehearsal or performance. Windows really has a good thing with Windows RT on its hands…they should be shipping the major OS developers big loads of cash to develop apps. Once people use Windows RT, they will like it. But if the OS lacks app, people will not come to the platform. Apple set the standard, opening with a huge array of apps (both for the iPad and iPhone/iPod Touch) on the first day of the iPad, and even Android is still struggling to catch up when it comes to tablet apps. My fear is that Windows will have to abandon RT before its benefits are known. That said, like all widescreen tablets, it is strange to look at music on the 16:10 screen. You either don’t see enough of the screen (landscape), or the music appears too narrow and there is a space at the bottom of the screen (portrait). When it comes to viewing music, this is a reason I prefer the iPad or a 4:3 Android tablet like my “hacked” HP Touchpad or the Kuno. I don’t think you can find a 4:3 Windows tablet. Even though the 16:10 screen might be better for movies, I would prefer the 4:3 for working on documents and for sheet music. 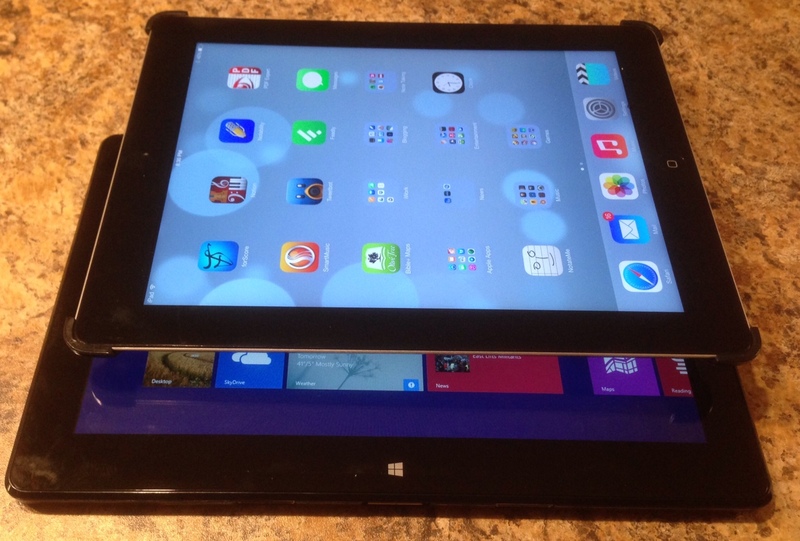 This image shows the size difference between the iPad’s visible screen and the T100…the iPad is significantly wider. This image shows how the T100 is longer (taller?) than the iPad. The T100, like many other Windows devices these days, also comes with Microsoft Office Student and Home. In the world of GAFE and iWork in the Cloud, this is no longer the incentive it once was. At $399 (MRSP) and likely under $379 for schools, this device would be appealing to me beyond a Chromebook in education; you can certainly run any Google App for Education on this T100 (it is just as fast as any Chromebook, save for the high-end Pixel), and you can run Google Chrome and all Chome Web apps on this device. For those people that still need Flash (you have to wonder about the web designers who are sticking with Flash in this day of mobile technology that doesn’t run flash), Flash will work on the T100. And if a few developers could be lured to the RT platform, the device could be separated from its keyboard and used in classes that just didn’t need a substitute for writing papers by hand or typing them on a typewriter. Granted, the T100 will face the challenge of malware, which does not exist on iOS, Mac, or Chromebooks; and implementation of a T100 1:1 program would be as intensive as any Mac, Windows Notebook, or iPad implementation (Chromebook implementations are supposed to be the easiest to manage). But for $180 more than a barebones Chromebook, you get a device that can potentially do a lot more. So if your district is considering Chromebooks, you might want to check out the T100 first. On the day the iPad Air went on sale in the United States, I finally received the cables I needed for my Iconia W3 nearly a month ago. 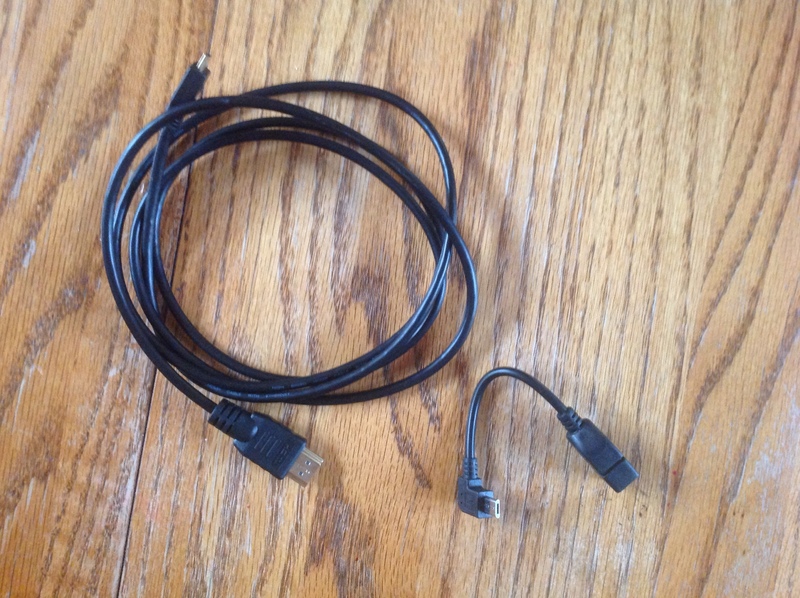 One cable is a Micro USB to Male USB, and the other is a Micro HDMI to HDMI. 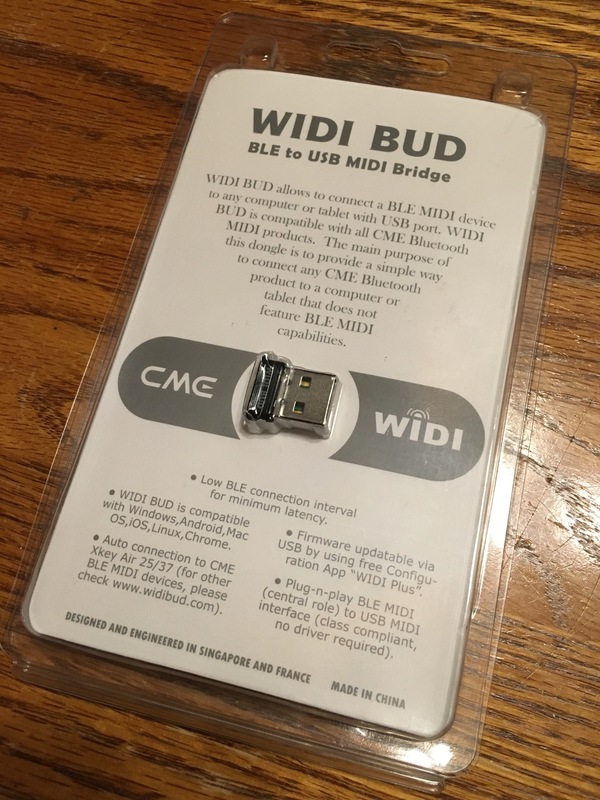 These cables are very expensive (if you can find them) in stores; ordering on Amazon, they were less that $6.00 for both, shipped. Almost less than the cost of postage. This meant that I was able to attach my Casio PX-350 to the W3 for the first time…and it worked flawlessly. Remember: Casio is using a MIDI driver that currently does not work with Finale (I'm hoping that Finale 2014 solves the issue), so I had to test the cable/connection with Notion 4. It works great…and in fact, I can tell that I would prefer using a tablet PC (perhaps not an eight inch tablet) with a keyboard versus a notebook computer. 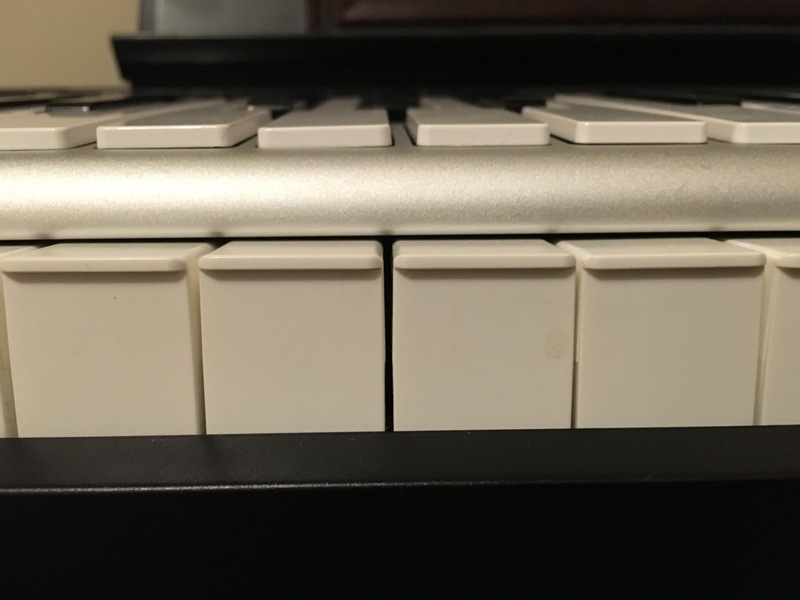 When you are working on a stand-alone keyboard, and not a mini-keyboard, there is no great place to put your notebook while you are working. The tablet fits easily on the piano's music stand, and the keyboard of the Acer W3 can be placed anywhere. Granted, buttons in “legacy desktop” PC programs are still VERY small for any tablet application, but keystrokes can be substituted for most onscreen buttons. I also connected the W3 to out family's HDTV, and that was flawless (even a better connection than our MacMini which normally uses that connection–the Mac Mini seems to forget the display settings every time you turn off the TV, causing the image to go to 4:3 rather than widescreen, and I can't find any easy solution to fix the problem. I can see purchasing the W3 as a desktop computer (really), using a bluetooth keyboard and mouse, and buying a cheap widescreen HDTV to use as a monitor…this would be a pretty reliable setup. At that point, however, you are treating the W3 as a desktop rather than a tablet, so the negatives of the legacy desktop on the tablet are gone–but then the Windows RT/Metro interface makes no sense. Windows has talked about creating tabets that run Windows RT, Windows 8.1, and Android. They call this double boot, whereas I would call it triple boot, as their setup already acts as if you have two devices. This device would be appealing to me, as I could have one device to test all of the features of all of Apple's competitors (Windows and Android). I have had some issues with the W3, such as unexplained shutdowns, and I had to completely restore the device once already. I still can't get the news tile from Microsoft to load, and I'm pretty sure that Microsoft isn't going to help me. But for a device that cost $293, shipped, with its keyboard, is a pretty good deal. 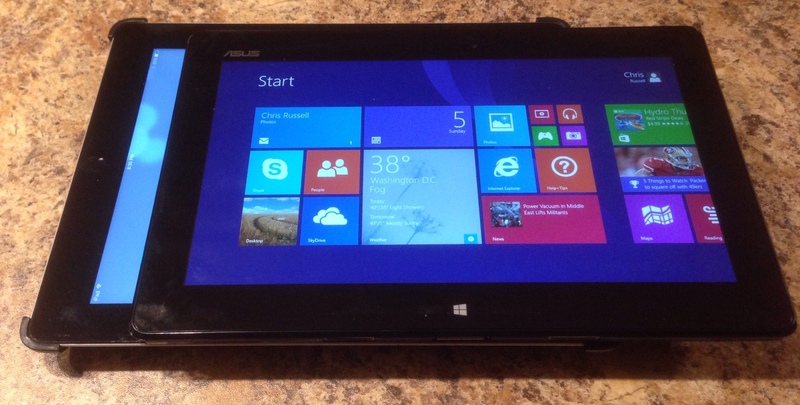 There is another new tablet, the Asus Transformer T-100 that just entered the market. It is a 10 inch tablet with a detachable keyboard with touchpad included. Early reviews have been skeptical about the keyboard, but in many ways it is a Surface Pro 2 without the higher price tag. It also lacks the special stylus of the Surface Pro 2, so that may be an issue for you. You can buy the 64GB model from a number of resellers for $399. It has a far better screen than my W3, and it is 2″ larger diagonally. If you are looking for a Windows computer, you might want to consider that device (hoping you find a good one and being willing to exchange until you do)…but I would also suggest the extended warranty if you buy such a device. 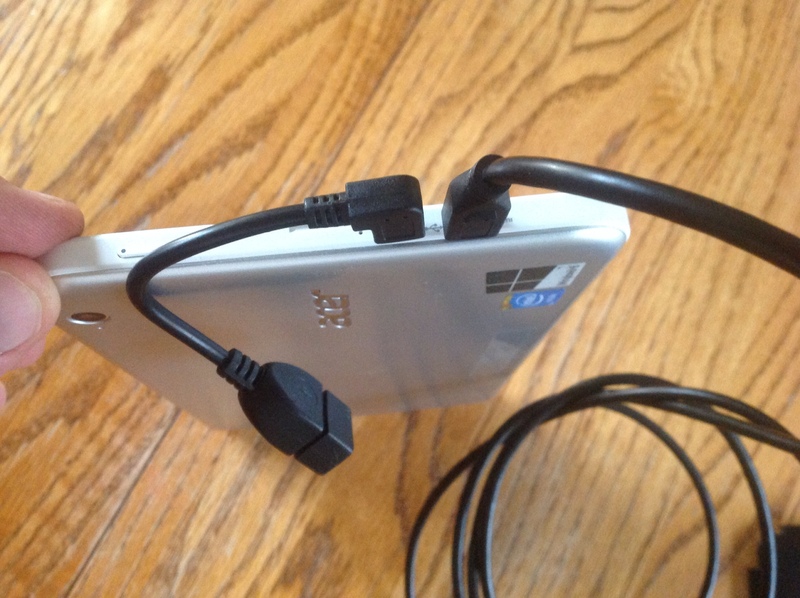 Oh…and you'll still need those extra cables that I bought for the Acer Iconia W3.